One of key parts of self-regulation, emotional regulation, attention, and executive function skills is the development of impulse control. But in everyday terms, “impulse control” is simply wanting something and being able to control yourself to not to take immediate action to get it. It is the ability to not take your coworker’s lunch from the fridge (even though it has your favorite PB&J sandwich and a Coke), to not cut in line at the grocery store, to not tell your sister her new hair cut is terrible, and to not skip work to play video games. Impulse control is a foundational skill for developing social and adaptive behavior skills. 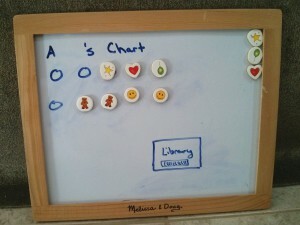 It allows children to make more complex plans and problem solve by stopping and thinking before acting. Additionally, it creates resiliency by allowing a child to persist at tasks when frustrated and attempt new things without giving up and being overwhelmed with emotions. All of these things are key part of developing higher level thinking skills called executive function and self-regulation skills. To some degree, impulse control is thought to have a genetic and gender component, but is highly influenced by experiences as well. 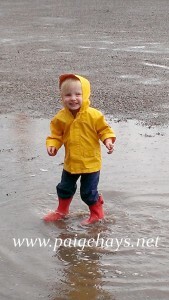 Often linked to concepts of temperament for children. Impulse control is a core deficit in attention and behavior disorders. Impulse control (and all executive functioning skills) develops late into adolescence in the frontal lobes. Poor impulse control puts children at risk for high-risk behaviors later in life and is correlated with negative outcomes in almost all areas (economic, education, social, mental health, etc). Impulse control is a skill that needs to be learned, and learning is the brain creating strong neural networks through experience and practice. As an occupational therapist (and mother), I wanted to share some ideas of how to teach impulse control skills from a very young age. Where it all begins: From infancy, the brain is filled with impulses (desires, interests, wants, needs). Infants first show this as anticipation (having an impulse for something to occur). Daily activities: being excited at the site of food or a familiar person returning. 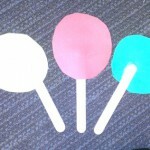 Anticipation game for infants: peek-a-boo, tickling games, or any game with predictable repetition. Self-regulation: wanting something and being upset, but being able to self-soothe while waiting (for example, calming by sucking on a pacifier while waiting to be fed or calming to a parent’s voice while waiting to be picked up. The next step during toddler and preschool years is developing self-control: being able to wait for a period of time (control) for whatever the brain is thinking about (the impulse). Waiting for a person’s attention or help (with increasing time of delay) without being upset. Waiting while sitting at table for meals/snacks. Waiting for tub to fill with water. Polishing nails and waiting for them to dry. Teaching first-then. Such as first clean-up a toy, then take out a new toy. First wash your hands, then have some crackers. Also may include working on finishing tasks before starting a new task. 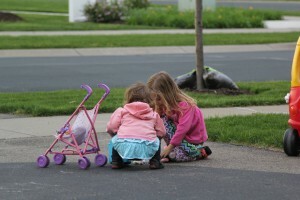 In the community, practice waiting in lines at the store or taking turns on play dates. A simple acknowledgment, such as “waiting is hard” can help young children learn to wait more patiently. Music (stop playing instrument or stop dancing when music stops). Games like: Red light/ green light; Ring Around the Rosie; London Bridge; Hide ‘n Seek; Simon Says; Freeze Tag; Musical Chairs; Duck, Duck, Goose (or Grey Duck if you are in MN). Motor games. Try working on fast, slow, and stop. 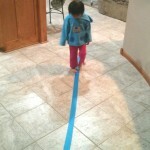 Balance and control tasks also build body awareness through impulse control. Counting actions (let’s jump 4 times- count and then stop). Practice doing only 1 of something, such as take 1 cookie or push the elevator button 1 time. Read together, practice waiting to turn pages and controlling ones body to sit calmly and attend. 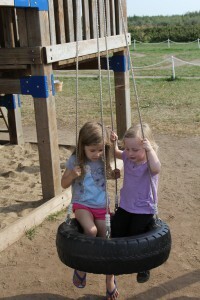 Playing or sitting within a defined space, such as sitting in a specific chair for reading together, waiting in a spot by the door when ready to leave, walking on the sidewalk for safety, or walking around a puddle. Parallel play, working on not touching or interfering with the other person’s project (block tower, play dough, or coloring page). Turn-taking play- during simple games, waiting for a turn. Dramatic play- pretending to be a character and staying on topic in dramatic play both involve controlling a lot of impulses. Cooperative play- being able to coordinate your wants with a partners during play. Work on not doing something tempting, such as blow bubbles and not pop them. 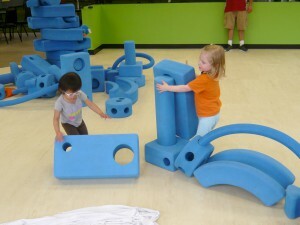 Working on independent play skills. Telling children it is time to play alone for X minutes while you do a chore (play here for 5 minutes while you make a phone call), work on not interrupting. Safety- working on compliance when told to “stop” in a firm voice. Having certain objects within reach that are off-limits (safe objects) and working on following the directions to not touch. Teaching manner- asking before taking things, saying pleases and thank yous, stopping and looking at adults when asking or talking with them. Have a child repeat a task that they were impulsive at- for example, a toddler needs to walk to the car holding hands for safety, but runs off instead. Take them back to the door and do the task over to reinforce the impulse control. When children sustain minor injuries or frustration, work on “brush it off” or “take a deep breath” to overcome the impulse to cry for help and instead teach self-regulation skills. Teaching children to try again when frustrated instead of giving up. Use visuals to help young children understand time concepts involved in delayed gratifications (Stop signs, first-then visual, visual schedule of daily events, calendar or count downs of when big events are coming). Reward programs- working on earning small tokens to gain a bigger reward (delayed gratification). As children get older, the challenge of impulse control moves more towards delayed gratification skills, independence with daily tasks, and emotional maturity. Role model delayed gratification and impulse control- talk out loud about it and show your children daily examples of choices you make that show impulse control. Teach positive self-talk related to impulse control. Phrases such as “I can wait,” “I am working for ___,” “Let’s try something else,” or “Let’s check with an adult.” They way you talk around and to children becomes how they talk to themselves. Impulse control is often driven by verbal self-talk. Play games together- charades, pictionary, slap jack, and many other board games involve self-control challenges. 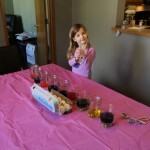 A great chance to role-model and practice in a fun way. Build routines that include delayed gratifications, such chores with allowance (encourage saving for a larger purchase), organized sports or classes where you work towards a larger cooperative goal, cooking or science experiments where you have to wait for a response. Teach concepts of time both in short and long duration. Time is abstract, making it visual can help. Use calendars, chore charts, write down a homework plan for larger projects. Teach social skills and practice handling situations where impulses might take over, such as being teased or fighting with a good friend. 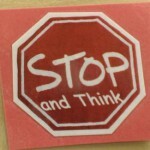 “Self-control and the Developing Brain” article through Stanford University. Famous marshmallow test (wikipedia summary). 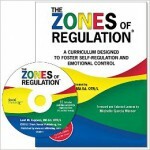 The Zones of Regulation is a great program for ages 3 and up that is used by OTs and school staff (and could be used by parents as well). Check out my post on this program here.